Learning consultancy from Oliver Quinlan. Oliver is an educator, writer, speaker and researcher working on innovation in learning. He's worked as an award winning teacher, University academic, and research project manager for innovation charity Nesta. He wrote 'The Thinking Teacher' (Crown House, 2014) and has spoken at Oppi (Helsinki & New York), The London Festival of Education and The MacArthur Foundation Disruptive Innovation Festival. Oliver works with organisations to figure out complex learning challenges from how to practically innovate in schools, to evaluating and evidencing the impact of learning technology. If you think he might be able to help you in your work get in touch . 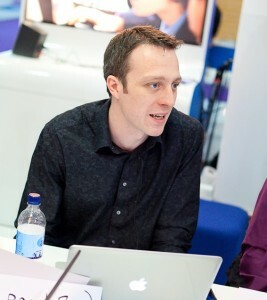 Oliver is author of the book 'The Thinking Teacher' and blogs at oliverquinlan.com on learning, education and technology. He also compiles the 'Quinlearning' newsletter every week. Interested in what we are doing? Sign up to receive occasional updates on QuinLearn projects and what has been learned along the way.